The future of sustainable energy supply lies in intelligent power grids, or smart grids, as they are known. Their comprehensive connectivity is both the essence of and at the same time a challenge for modern energy management: energy generators, control rooms, and loads must process ever more real-time data digitally. In addition, the number of data interfaces in the power grids is increasing. Every connection, from copper wire to fiber optics, must be able to transmit important data. Only a reliable and robust connection technology can ensure the smooth exchange of data and form the basis for a secure energy supply. Phoenix Contact is offering a passive fiber optics cabling solution for use in automated substations in accordance with IEC 61850 and passive fiber optics cabling solution for power station and control room. Within a substation, data is transferred to the station control room. 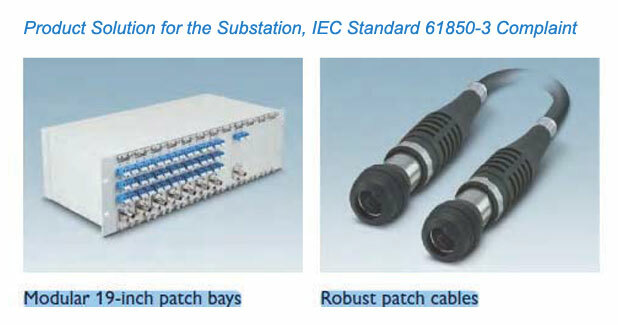 Multi-fiber connectors reduce the costs of wiring in the field control cabinet necessary for this: the standard patch cables are concentrated, the data is transmitted via Q-ODC cables to the control room, where it is then marshalled back onto traditional patch cables. Thus, the controllers and analyser units in the control room receive all the data quickly and securely. All of our products undergo intensive testing programs. We use the IEC standard 61850-3 - developed specially for use in substations - as the basis. We then add other customer-specific tests, such as environment and durability tests. This is especially important if our products are being used in regions with extreme ambient conditions. 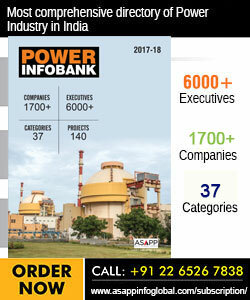 Large power stations in particular are important providers of balancing power. To ensure fluctuation-free energy generation, internal processes must be digitalised to a high degree. Robust and redundant components are indispensable for making rapid automated decisions - especially under harsh outdoor operating conditions. In modern large-scale power stations, the IEC 61850 protocol is used for controlling and monitoring the auxiliary power consumption. Q-ODC patch cables are compliant with this standard. Control rooms bundle and evaluate centralized data. Therefore a high packing density and high data rates are required to ensure secure operation. The number of tasks that network control rooms must perform is growing, because more and more effort is required to keep the smart grid stable. Power station control rooms must be able to respond with flexibility to price and load fluctuations. In addition, all of the systems must be designed with redundancy in order to avoid any loss of communication. Our connection technology, such as splice boxes and patch bays, efficiently and reliably supports data bundling in control rooms. Network control rooms must process more and more data. A critical factor here is the ability to transmit data securely and reliably across large distances. Fiber optic cables, including the associated splice boxes and patch bays, transmit data the fastest and most securely. The station control technology is linked directly to the high-voltage devices. Perfectly tuned and reliable solutions are in demand that meet high environmental protection standards at the same time. Patch cables and Q-ODC connectors can make savings possible here. Providing comprehensive data compactly and reliably is a challenge for power station control engineering. Specially developed solutions are necessary and must be perfectly tuned to each other: such as compact marshalling units, system cabling, and consistent marking.